I saw it freshly posted on Craigslist, and then on the FB Vintage Trek group right afterwards. Sure didn’t last long! LOL...in hind sight I kinda wish I didn't jump so fast. 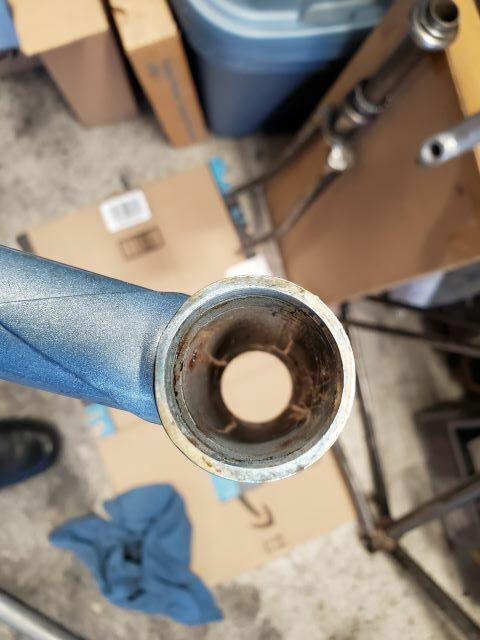 Had the crack in seat stay looked at and it is cracked, but good news the shop said it could just be brazed...but they also noticed something else...the BAD News...they noticed the down tube is buckled near the head tube lug. It's hard to see, but if you run you finger on the bump you can feel it. 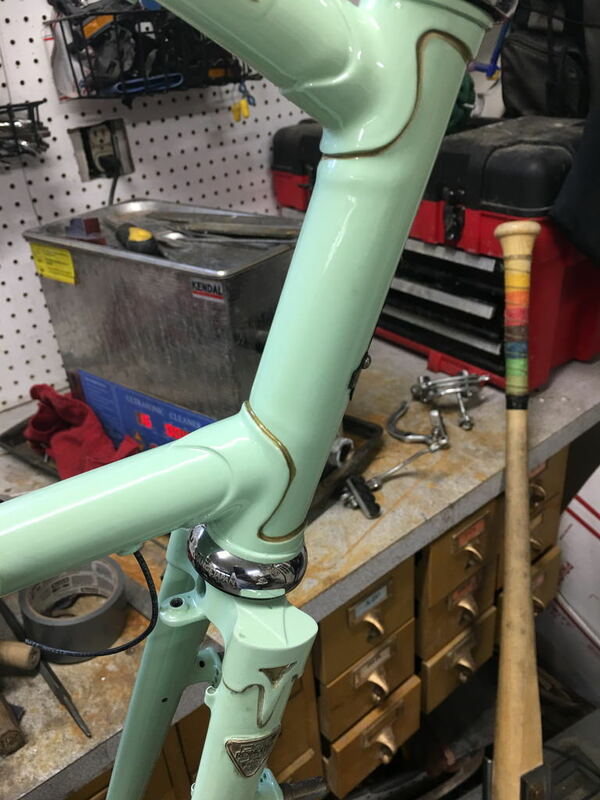 Weird thing is the is no apparent damage on the head tube and none on the fork. So either this happened early in this bikes life and the fork was replace, or some one did a hell of a job on repairing the fork. What made the news worse was the attitude of the shop I brought it to...their bedside manner could be better. Anyway, looks like this frame is toast. It's wall art that will always remind me of how much money I wasted on it. So I guess this begs the question: Is a 710 work repairing? Damn. I know buying from a distance is a gamble, but the bike really looked tip top going by the ad. I have a vauge memory of what the asking price was. Tack the cost of shipping onto that? Not a small purchase. If it was me, I think I’d have to consider that I already had a high enough amount into the bike as is, that I’d have sink more in just to make it right. Otherwise it’s just money tossed. The toughest part of it all however would be knowing that I’d never recoup the investment, which would especially sting if I couldn’t fall in love with the bike as a keeper. Poor bedside manner is really disheartening when dealing with something as tenuous as "will this frame be ok and will my money have been wasted?" I'm sorry that happened. The frame has had its share of bumps and bruises, as we have seen from your very thorough going-through. @gugie had his Raleigh Grander Sportier ripple its head tube pretty good as he was easing the headset cups into the frame just after powdercoating. It just completed a three day, 170-mile tour with no issue. If you liked the way it rode and handled before, I think it's worth saving and riding again. I'd fix the brake bridge and go from there. Ultimately, those with more knowledge and experience will chime in. I've probably put in 1200 miles on it. I would get that bridge fixed, however. 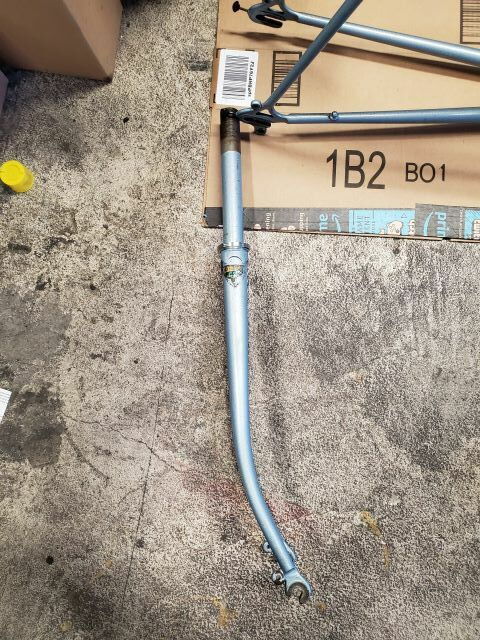 Had the crack in seat stay looked at and it is cracked, but good news the shop said it could just be brazed...but they also noticed something else...the BAD News...they noticed the down tube is buckled near the head tube lug. It's hard to see, but if you run you finger on the bump you can feel it. That's pretty trivial damage for a steel frame. I'd be surprised if it had any noticeable effect on handling. Fix the brake bridge and there's plenty of life left in that frame. 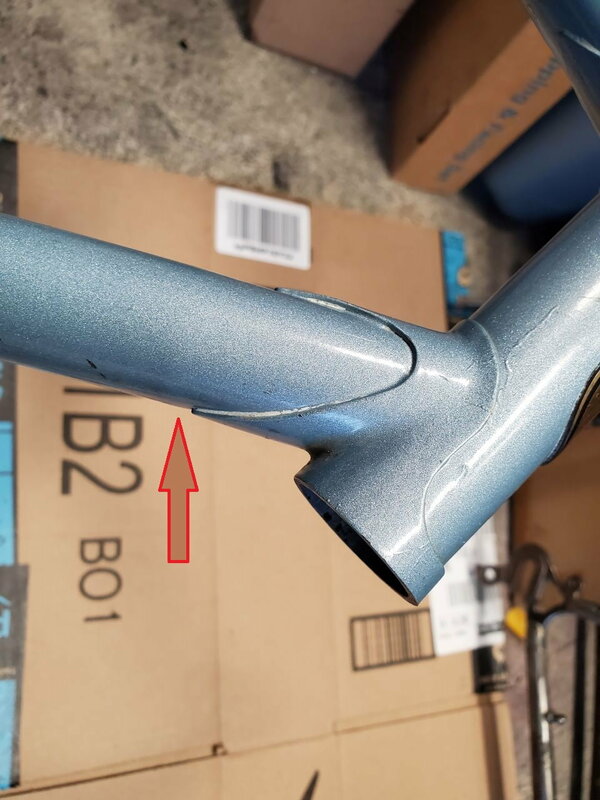 Frames can and do sometimes get such damage without the fork getting noticeably bent, just depends on where the greater yield strength lies. Thanks all...I have to make some decisions. Appreciate all the comments. It's hard to compare how it rides since I only had a ride around the culdesac when I got it before I did the full teardown. I think at the very least I'll look for a shop to get the stay fixed if it's not too costly. I have a couple other projects to work anyway. Also considering cutting losses and selling frame as-is with full disclosure of damages.